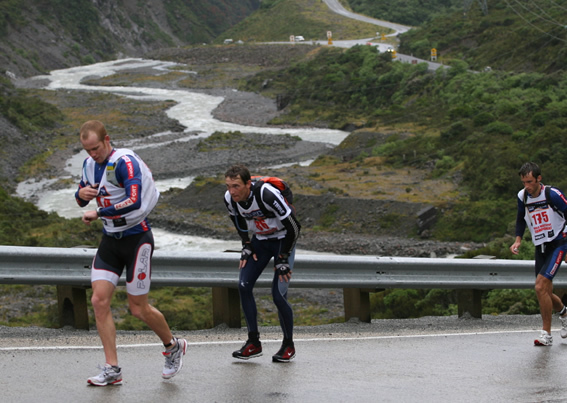 We reflect back on the 2010 Weather Bomb Speight's Coast to Coast, when heavy rain & high winds hit the Multisport World Championship (Longest day) field, with then race founder/director Robin Judkins announced major course changes for the safety of competitors. 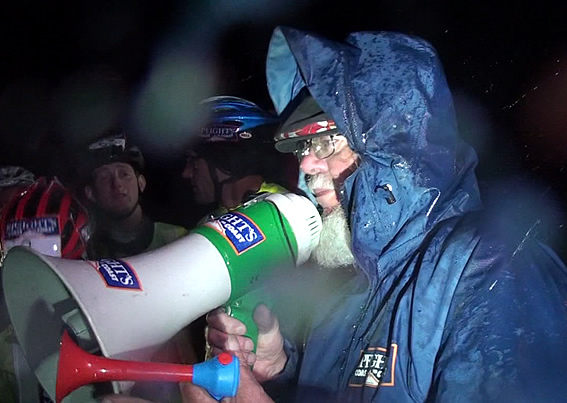 This article looks back at what competitors endured, said at the time, and also an interview with three times Coast champion Elina Ussher on the memorable, but very challenging Weather Bomb Coast to Coast. The 2010 Weather bomb Coast to Coast could be labelled as the toughest and most unpredictable races in the event's 36 year history. As competitors and crews rolled into Kumara Race Course for registration on Thursday, following close behind was a big weather front ladened with heavy rain and promising high winds. The Two Day event managed to avoid the deluge, starting on Friday in sunny conditions. However the Longest day competitors were about to endure the eye of the storm, with major course changes to test their resolve and adaptability. With the Two Dayers home safe at Klondyke on Friday afternoon, event founder Robin Judkins announced that course B would kick into action. 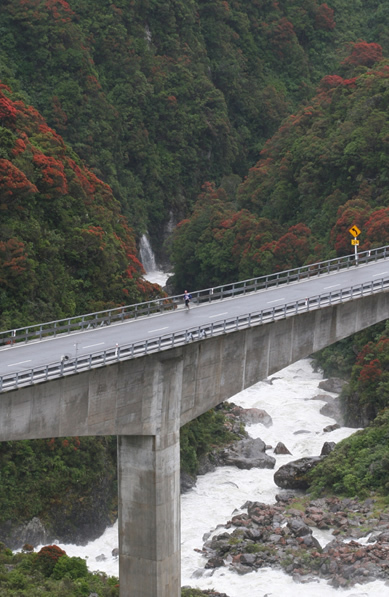 The 33km mountain run replaced with a road run past Otira, over the viaduct, through the settlement of Arthur Pass to the Klondyle transition. 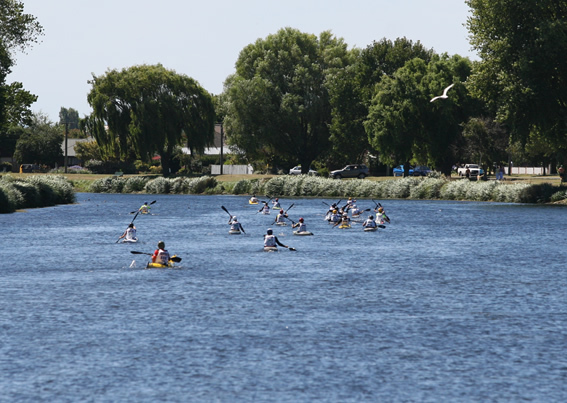 The Traditional 15km cycle, 67km gorge kayak and 70km cycle leg scrapped in favour of an extended cycle all the way to Hagley Park in the centre of Christchurch, an Avon River paddle 17km from Hagley Park to Mt Pleasant Yacht Club and final cycle to the finish in Sumner. On queue the wild weather hit overnight on Friday greeting the Longest day athletes on Kumara Beach and gathering media with horrendous rain and winds on the 6am start. "The start line was miserable, dark and extremely wet. Anything not attached to something substantial would very likely be swept away by the hurricane-like winds. Dougal Allan commented after the race." The start line was replaced with a huddle around Judkins to hear the very short race brief and no sooner had the horn sounded to mark the start of one of the most memorable Coast to Coast's ever. For some the course changes came as a total surprise. Out of cellphone coverage overnight, they didn't realise until they were about to start, however for most that wasn't a problem as their support crews managed the transitions & changes required for each leg. 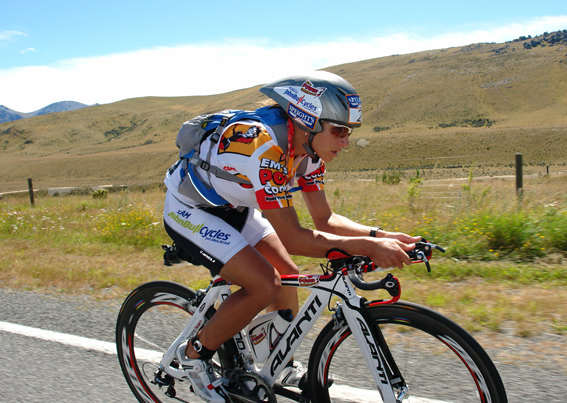 Favourites for the men's Longest Day (Multisport World Champs) were two times champion Gordon Walker & Wanaka's Dougal Allan, with Simon Kristiansen a former New Zealand junior duathlon champion seen as a serious challenger on the revised course. At the end of the Weather Bomb 250km challenge it was two-time defending champion Gordon Walker who won the Longest Day in a quick time of 09:43:24. Gordon Walker Wins The Longest Day Event. 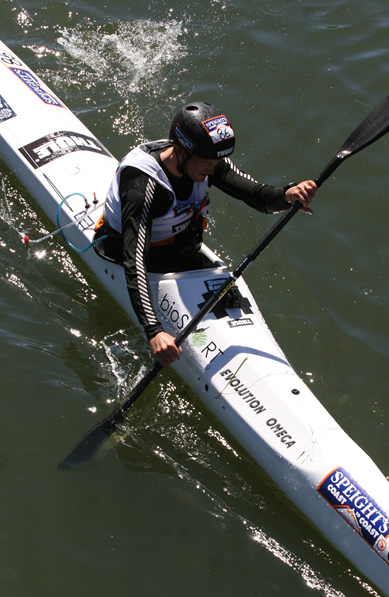 Second home was the 2009 Two-Day Individual winner Dougal Allan just 5 minutes behind. After the first stage 55km cycle to Aickens, Walker & Allan were out to chase down Carl Bevins & Trevor Voyce on the road run over the viaduct to Klondyke. Into Klondyke Walker & Allan were four minutes down on race leader, duathlete Simon Kristiansen. "As it turned out we caught and passed Kristiansen about 30km into the 135km cycle stage." reflected Allan. "From there it was simply a matter of working with Gordy for much of the bike and putting as much time into the chasers as possible. We shared the work for the entire ride." The 17km of the kayak down the Avon proved a total contrast with very shallow water, bottom drag and weed. Allan was leading the Coast to Coast for a short time "Gordon Walker came past. ‘Bugger’ and that would be the last I would see of him as he paddled off into the distance with his third title a virtual certainty." comment Allan. Third place in the Men's Longest Day went to Jacob Roberts of Christchurch. In the Multisport World Championships women's event, racing really started once on the run with Elina Ussher setting the pace and first to Klondyke by 17 minutes over defending champion Emily Miazga, then extended her lead to win in a time of 10:59:54. Louise Mark secured second place thirty-two minutes back, while third place went to Sophie Hart finishing in 11:47:28. 9 times Speight's Coast to Coast champion Steve Gurney sidelined with an ankle injury and an ambassador for the event said at the time "Competitors rode through contrasting conditions, with the first half becoming a gnarly bike ride of gradients and hills through blinding, tricky rain in Porters Pass which was followed by sunshine on the straights and flat into Christchurch, with a slight tailwind." 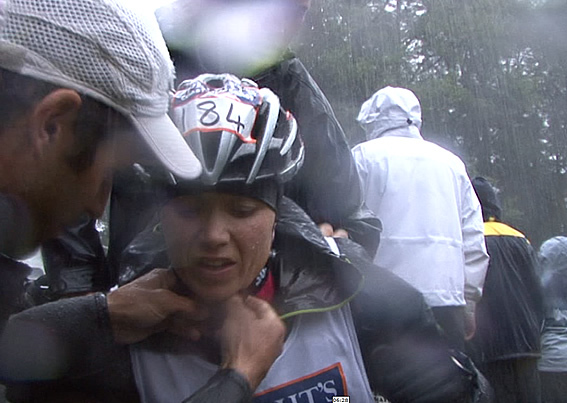 The 2010 Weather Bomb Coast to Coast was Elina Ussher's first win at the great race. Since she has won in 2012 and 2016, lining up for the 2019 start on Saturday. Elina shares her 2010 winning race. When did you first realise the potential course changes due the weather? On Thursday 2 days before the race when I was having a coffee at Arthurs pass on the way to Kumara and saw Steve Gurney and he was talking about heavy rain being forecasted for Friday and Saturday. Did you start planning then for a potential course change? Yes I thought it might be wet and the rivers might be a touch higher than on Thursday when I checked the first crossing on the run that it was only ankle deep after a long dry season. Richard who was crewing for me had some spare time on Friday so he made a short rudder option for me in case we ended up paddling on the Avon. When did it hit you we are in for a major change? Not until at 2 o’clock on Saturday morning when I heard the rain and wind arrived all of the sudden. How did your race plan and preparation change? I decide to wear a goretex jacket and use my road bike instead of TT bike on the first ride. Luckily I had both bikes with me. Did you getting any updates on the conditions ahead? When driving to the bike drop off from Hokitika we had to stop several times as the window wipers couldn’t keep up with the rain. So it started to be pretty obvious that there was gonna be some serious flooding on the real course. At the start line Robin Judkins explained that we were racing on the plan B course due to the conditions. How was your run off the beach at the start? Honestly can’t remember. It was so dark and so wet I was just focused on finding my bike in the darkness. How was the first cycle? It was a bit scary as the road was pretty slippery and very very wet. I was lucky to be on my road bike and glad I was wearing a wet weather jacket even though it didn’t keep me dry, :-) There was some serious flooding around, we heard big boulders rolling down the steep slopes on the side of the road. When you first saw the river/run course in flood, what were your thoughts on the decision to go over the road? The run river was extremely high. Would have been impossible to get through by foot. Something you would take a big 6 person raft down. A bit hard on the legs as it was all tar seal. 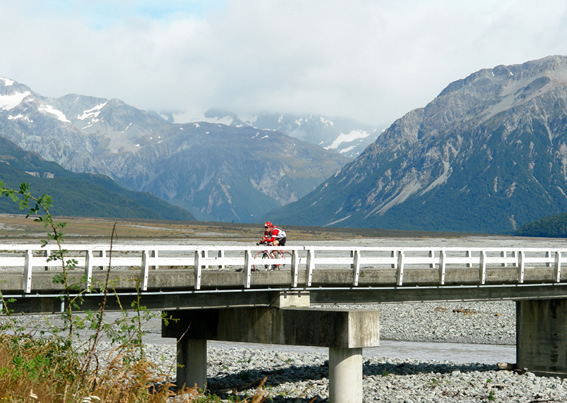 Arthurs pass climb was pretty hard and the downhill after. I definitely felt the impact in the legs. I was focused and just running my own race. I knew I was leading but wasn’t sure where the other girls were. 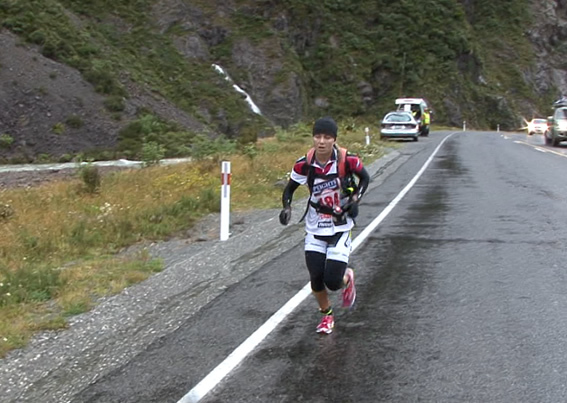 It was a bit strange to be running on the road and through Arthurs pass township. It was a bit like a dream kind of unreal situation. I knew from town it’s about 7km to Klondyke where the TA was. So just tried to keep my running form and ticked along. Did you feel the run was as physical over the road as over goat pass? It's completely different as its not technical like Goat pass run. But still a physically very hard run, that's for sure. And it's the only option for a run when you need to get over Arthurs pass and if it's as wet as it was on the day. There was a total contrast of weather east & west of the alps with the weather clearing to a sunny day by Klondyke. It was a nice surprise to have some sunshine on the other side of the pass. I left my knee and arm warmers on for the long ride so I was starting to feel pretty toasty though. Luckily Richard told me in the Klondike TA that drafting was allowed as I had missed that information at the start line and originally it was supposed to be non drafting. I managed to catch a bunch of guys climbing up some steep bits of road after Flock Hill area. So yes I was riding in that bunch from there. It was alright and of course it always helps if you have people riding with you. The guys were getting drinks from their support though that was against the rules and it really annoyed me as you weren’t supposed to have any support after Klondyke until Waddington. How was the paddle down the Avon, Hagley Park to Mt Pleasant Yacht Club? It was a tough 2.5 hour flat water paddle. Technically not challenging like the Waimak though. Last cycle around the Sumner estuary to Finish? The ride after the paddle was only 8km so it was not a big deal. I had some painful cramps in my legs but once got up to speed I felt good enough to ride fast. How did it feel to win the weather Bomb year? It was great. I did have a good race and I was really fit and well that year. Sure would have been great to race on the normal course but nothing you can do to the weather. Did you feel advantaged in the run ride format? I had been focusing on my paddling a lot and thought that i was going well. And I actually had a great paddle on that day on the Avon. I had the fastest paddling time of 1 day individual women. Maybe it was just cos Rich had modified my rudder for the Avon conditions… :-).